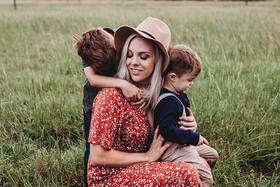 Creating a style-filled family bungalow that checks off all the boxes. A version of this article originally appeared in the Holiday/Winter 2017/18 issue of OUR HOMES Wellington County, Orangeville, Caledon, p.52. Find local businesses in our Wellington directory. 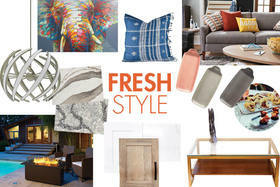 Jamie Becker has been in love with home style and décor from a very young age. 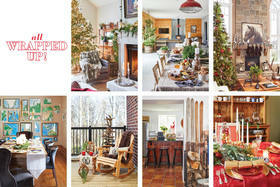 She’s been gathering ideas from home design magazines and building the vision of her perfect home for years. This is the second home Jamie has designed. 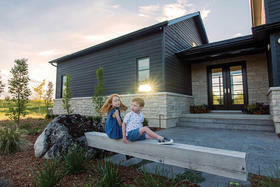 She learned a lot from her first home and says when she started designing this new build in Listowel, she told herself she was going to design it as her family’s forever home. “I put everything I would like into the design,” she says. The family’s new kitchen is open to the living room and the space flows, inviting friends and family to gather in the large but cosy space (fireplace mantel from Mantels Plus). 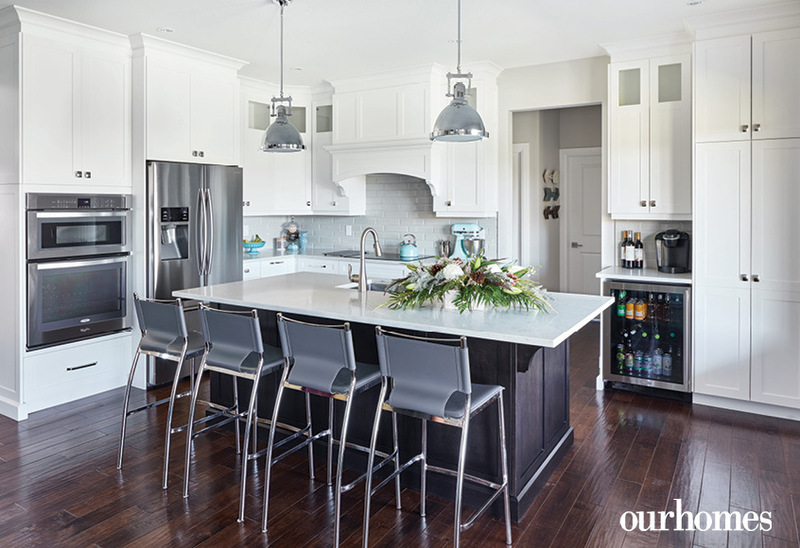 “I wanted the island as big as we could possibly make it,” she says of the kitchen, which was designed and built by the team at idesign Kitchen Studio. 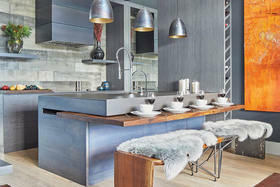 The custom range hood and extra-large island were must-haves. Storage was also a priority. Stainless steel appliances, a wine fridge, a grey subway tile backsplash and a dark island among white cabinetry complete the look of this modern kitchen. In the living room, wingback chairs and a large ottoman soften the space, making it comfortable and easygoing. 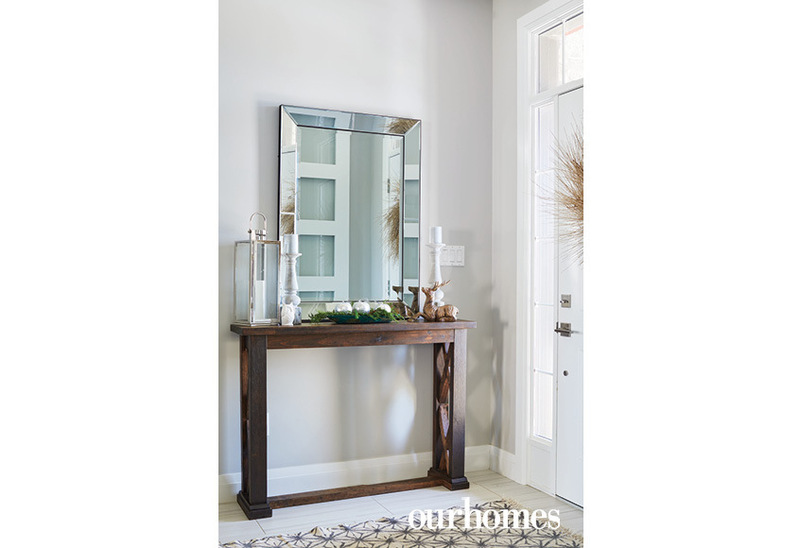 Becker worked with Kahley DeVries from Ambiance Interiors to pull her design together and find all the right accents and accessories. 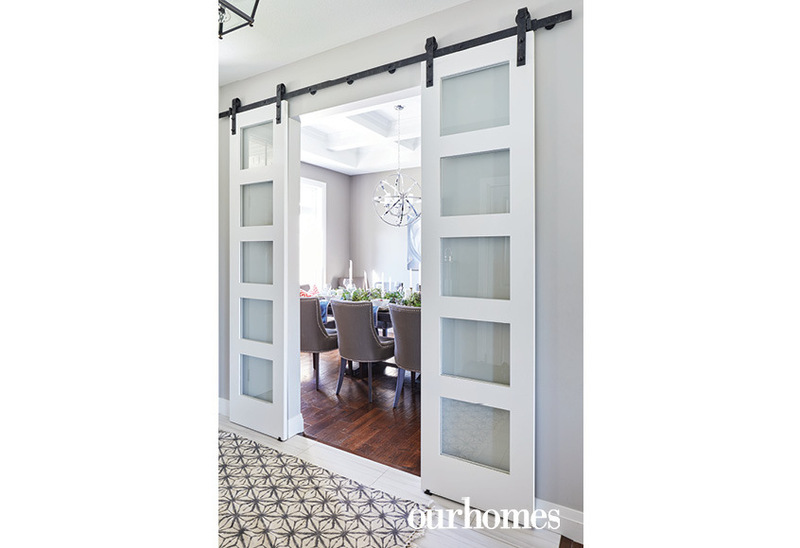 Doors lead from the living room and kitchen space out to a covered porch. When it’s too cold to dine outdoors, the Beckers head to their beautiful dining room at the front of the home, which can be closed off from the foyer by sliding loft doors. 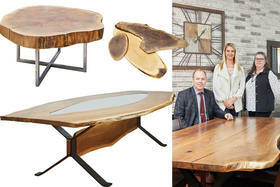 The dining table was custom-made by Heirlooms Custom Cabinetry & Furniture in Listowel, who also built the desk for the home office and the dressers in the master bedroom. The home is divided into two wings. Charming bedrooms for their two daughters and a home office are located off the living room. The master bedroom is at the opposite end of the house off the kitchen, complete with a spacious en suite. Like the rest of the home, the peaceful master bedroom is chock full of design details that speak to Becker’s sense of style, such as nail-head trim, a tufted headboard, monograms and personal touches. Turquoise elements accent the space. The front hall is decked with candles and glamour to welcome guests. 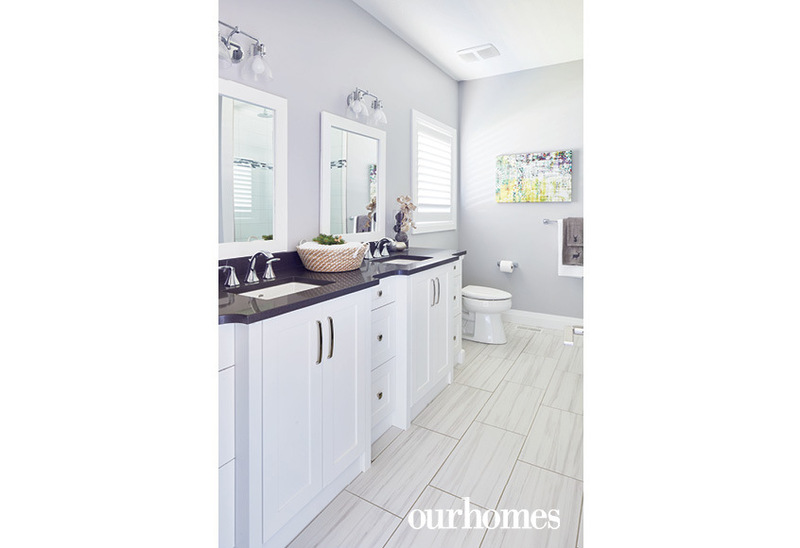 Classic shaker cabinetry in Benjamin Moore’s Distant Grey and a custom-stained maple island paired with the sophisticated look of chrome hardware, subway tile and quartz countertops, together create an open and inviting kitchen. The fireplace by Mantels Plus is the focal point of the open-concept living room. For Christmas, the family shifts some furniture in the living room and puts up a big tree. The owner spruces up the built-ins on either side of the fireplace and television for the holiday season. Sliding loft doors can be open for effect, or closed for intimacy. 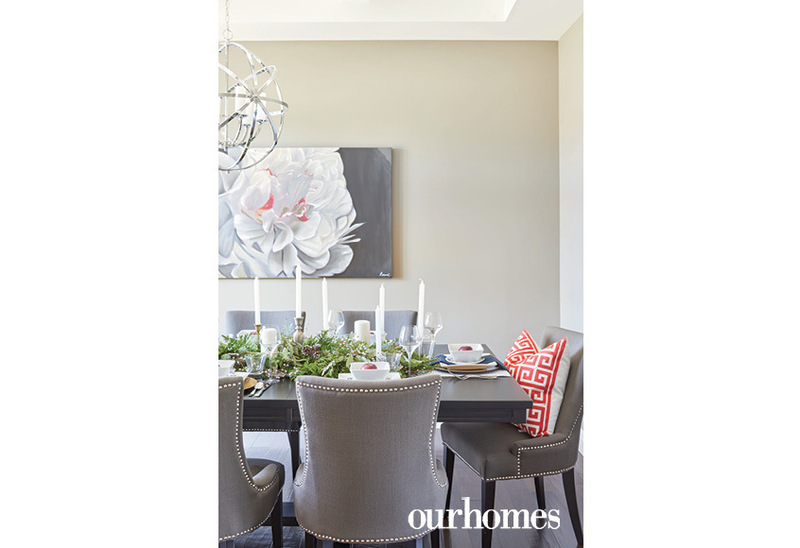 The dining table is beautifully set for a festive dinner with friends. The master bedroom exudes peace and tranquility with sea blue and turquoise accents. The vanity in the master en suite was designed to look like furniture. The owners opted for an ample glass shower instead of a tub in the en suite. Sweet dreams are a cinch in this daughter’s room. 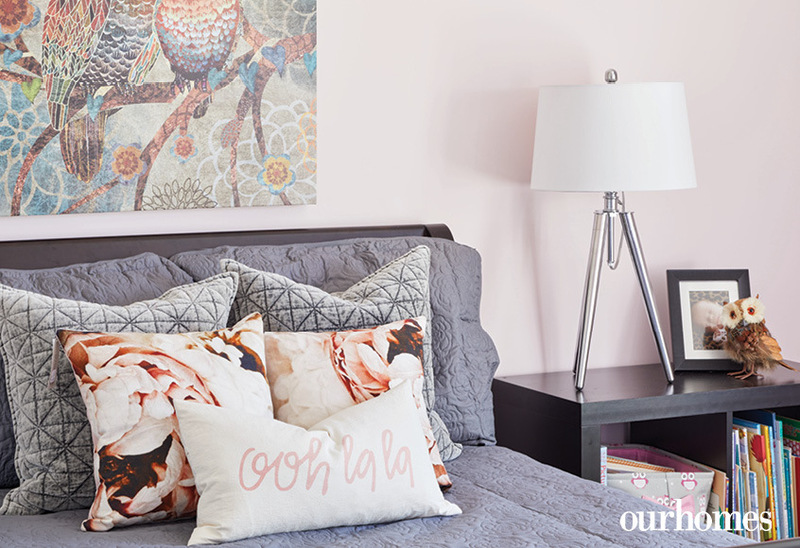 The world of whimsy and wonder inspire a second daughter’s room. Pretty in pink! Ruffles for little girls in their own bathroom.